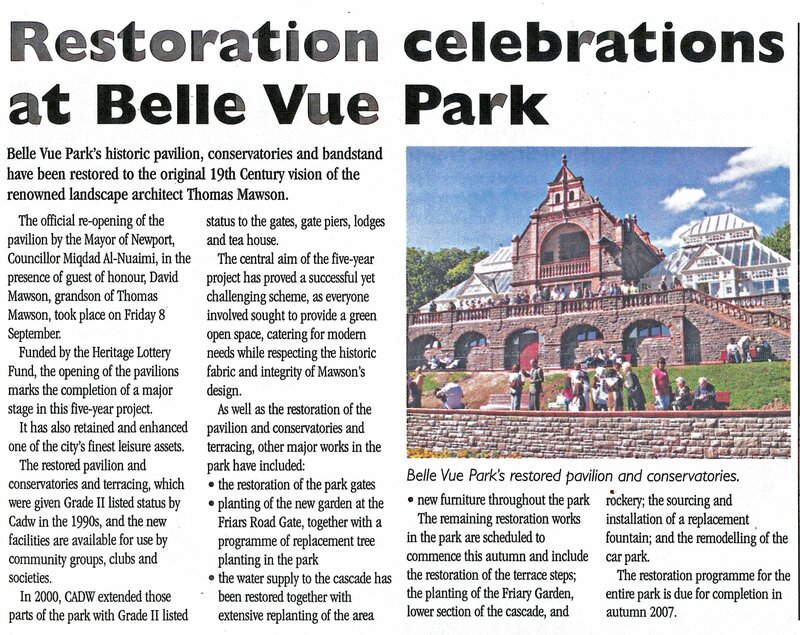 The land on which Belle Vue Park, in Newport, Monnouthshire, stands was donated to the town by Lord Tredegar in 1891, and Thomas Mawson was commissioned to design it, as discussed in Chapter 20 of the book. There is absolutely no doubt that Pulhams constructed the rock and water feature in the centre of the park, and – although there is no documentary evidence to support this suggestion – Claude, who was involved in some of the discussions, is convinced that they were responsible for the entire project. The bridge across the stream; the balustrading around the bandstand terrace, and the ashlar facing to the walls of the top terrace and the Pavilion – added in 1910 – bear all the hallmarks of the Pulham hand. A massive restoration project was begun in 2002 with the help of more than £1.5 mil from the Heritage Lottery Fund, and the work was completed in 2007. 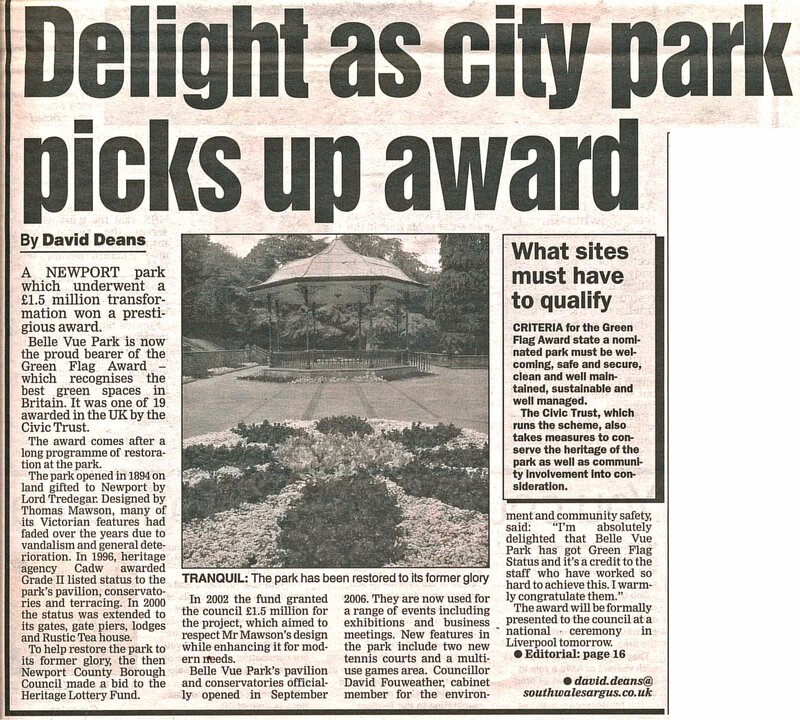 The two reports reproduced here show how successful this was, and how greatly appreciated the restored park now is by the local community – in fact, it was achieved a coveted Green Flag Award the following year, in 2008.